Organize and manage your data by dividing your disk into sections called partitions. 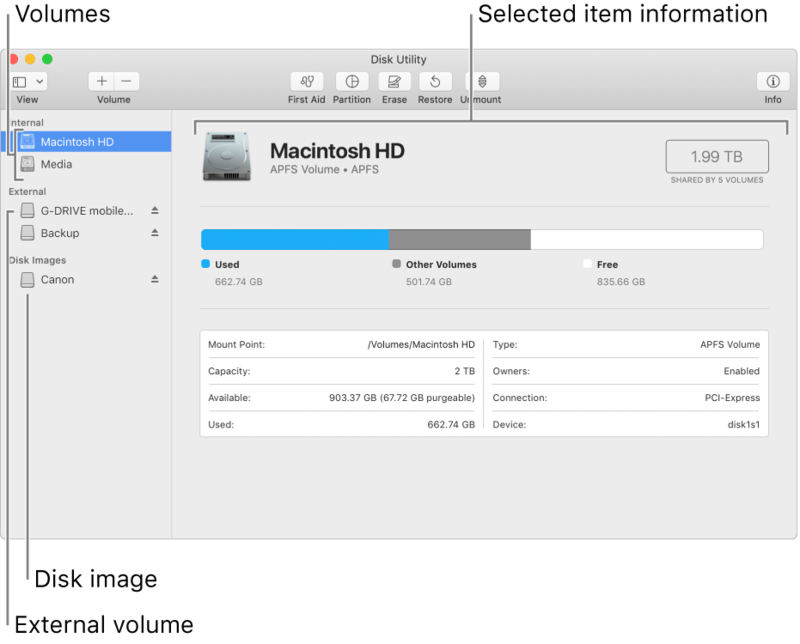 Each properly formatted partition appears as a volume in the Finder. Create a disk image, a single file you can use to move files from one computer to another or to back up and archive your work. Combine multiple hard disks into a RAID set that acts as a single disk. Using multiple hard disks in a RAID set can increase the performance, reliability, and storage capacity of your data storage system, depending on the type of set you choose. Check for and repair errors on your disks and volumes.